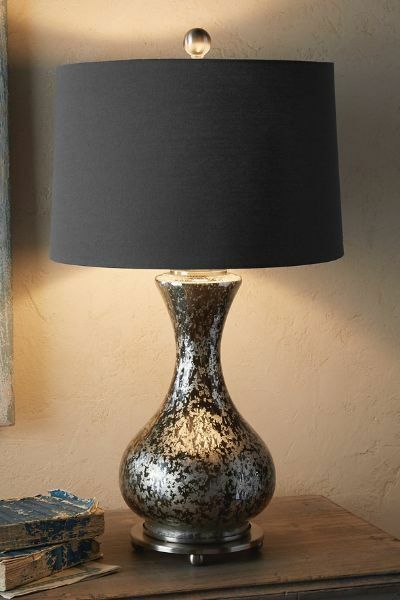 Base: 8″w x 8″d x 33″h.Straight cylindrical shade, 14″dia x 10″h.Cast resin base.Linen drum shade.3 way switch, 100 watt max.Imported. 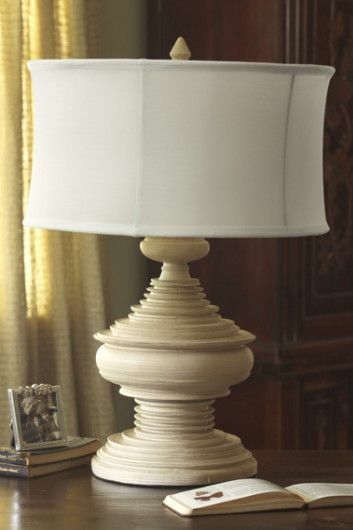 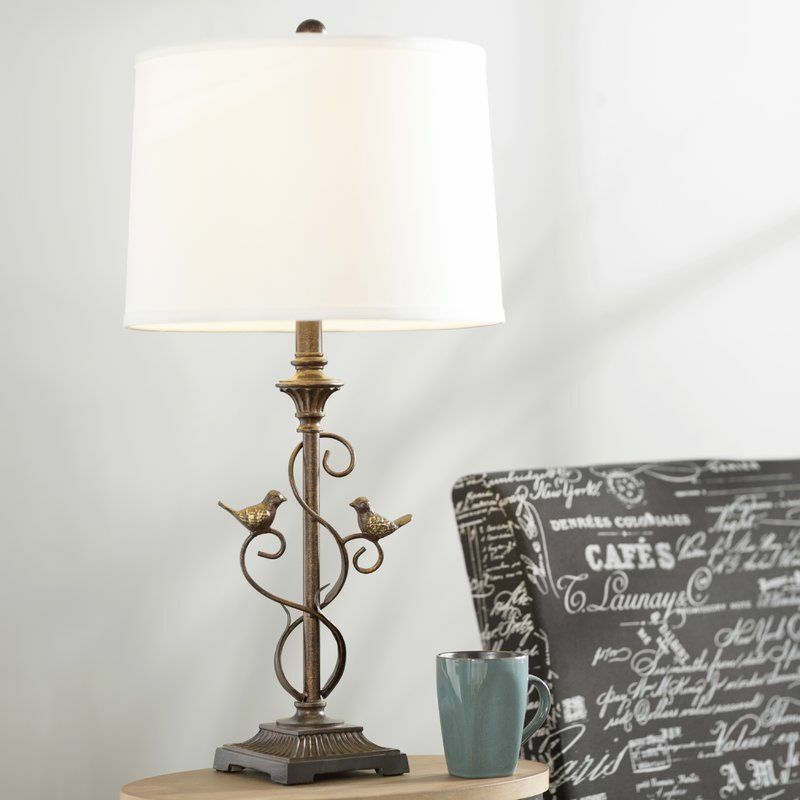 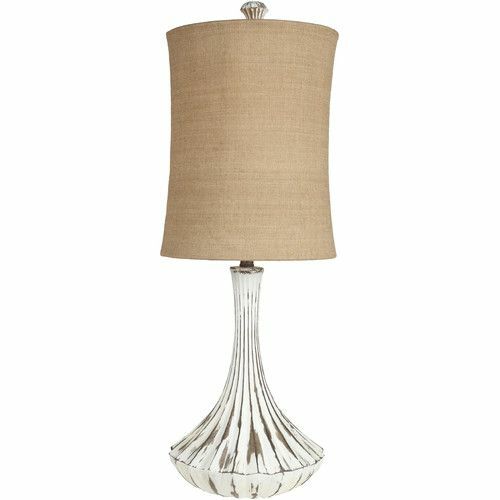 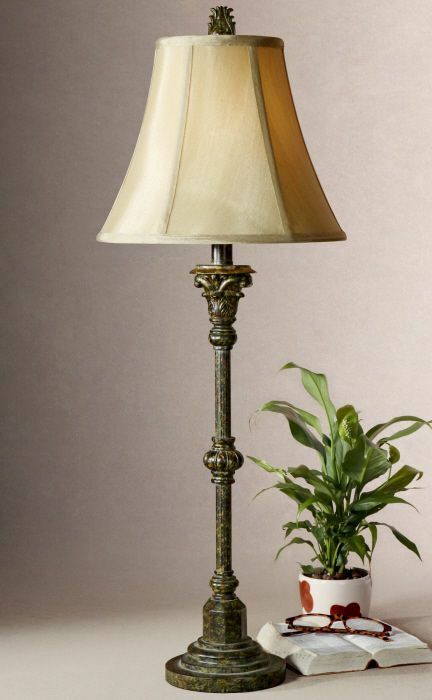 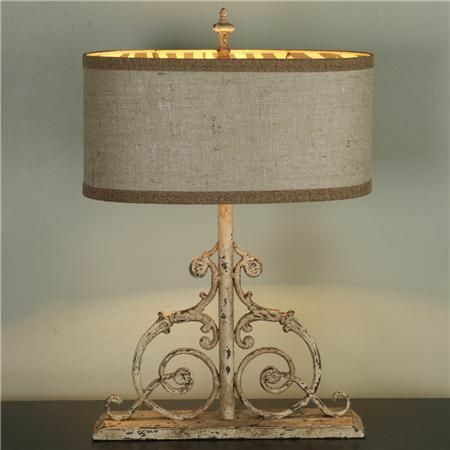 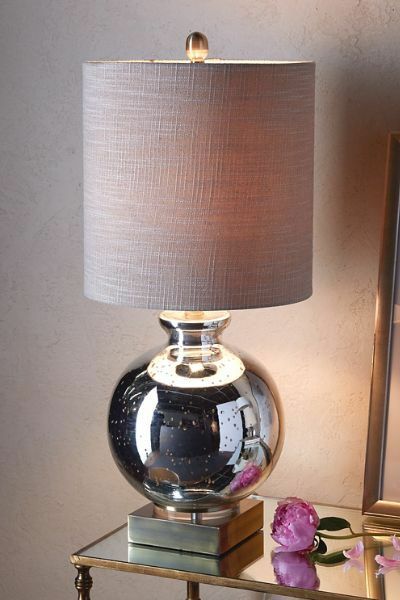 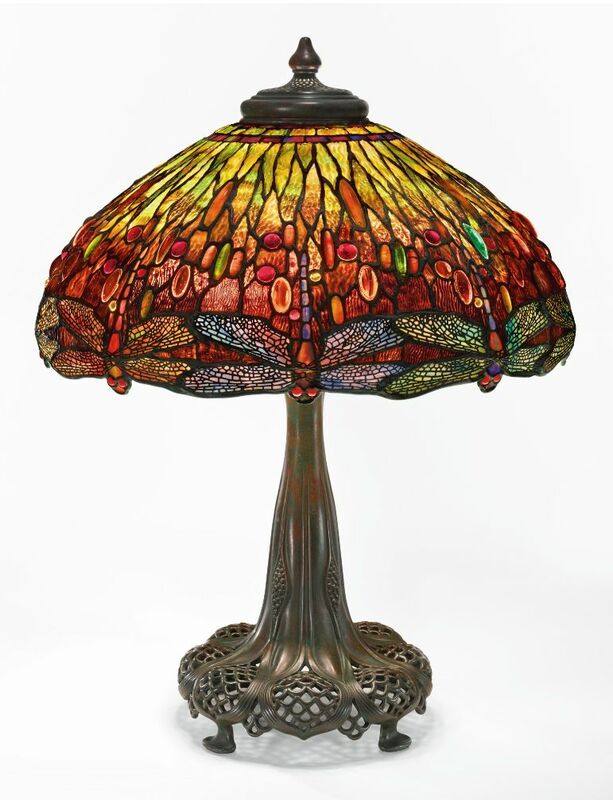 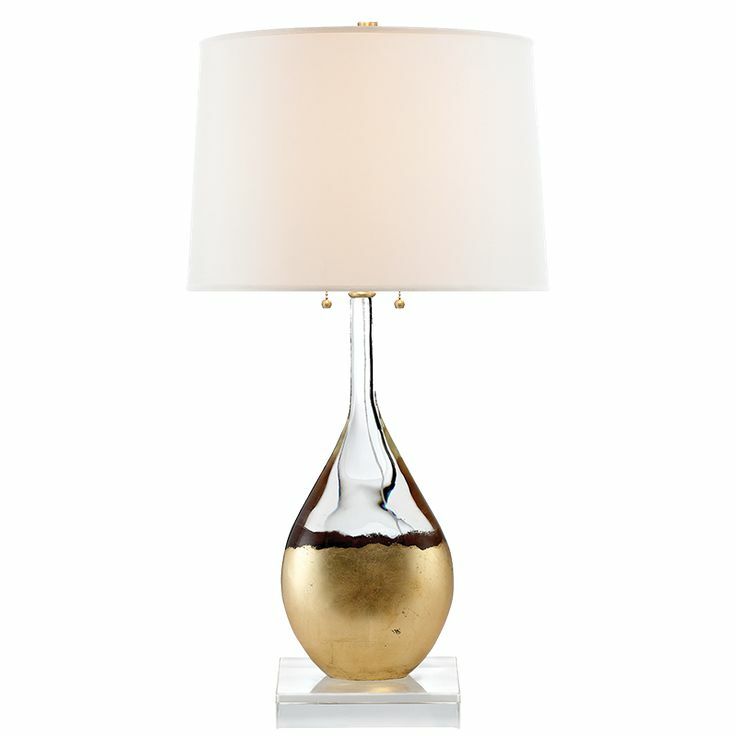 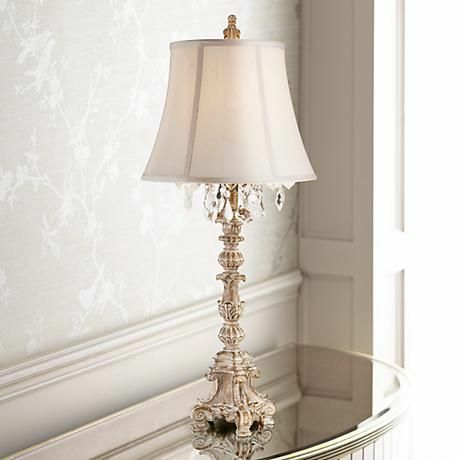 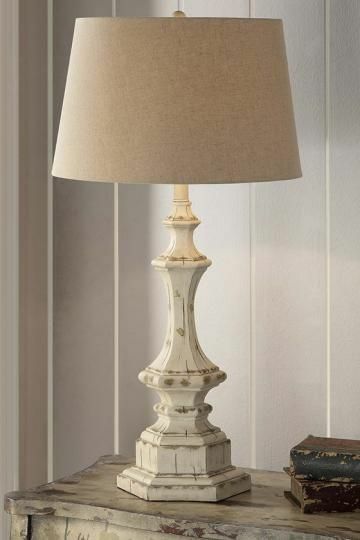 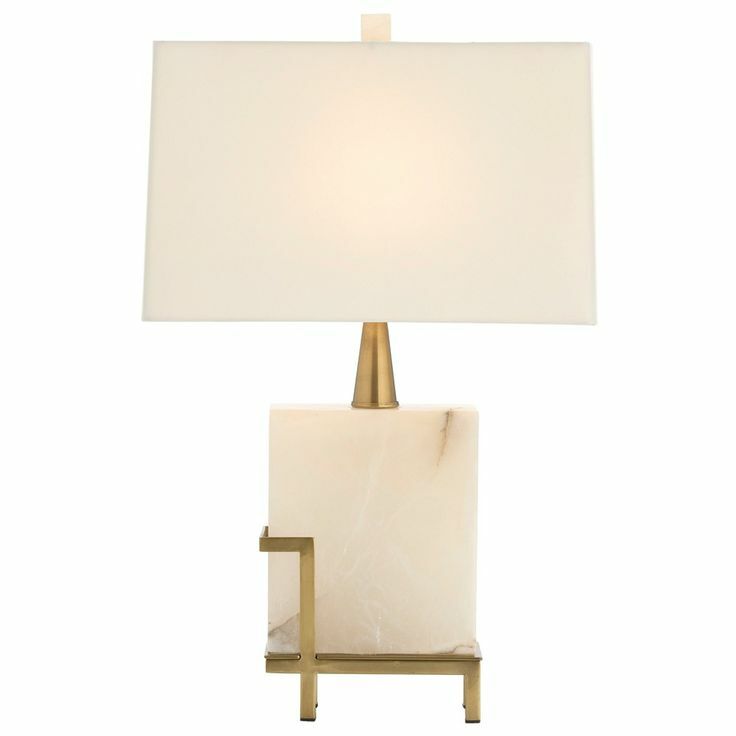 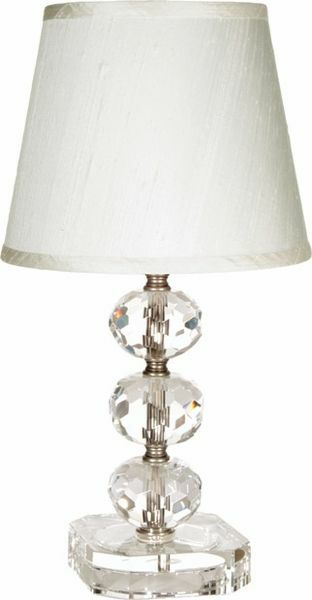 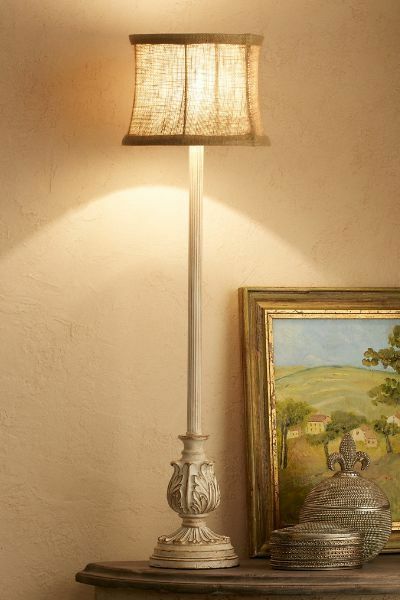 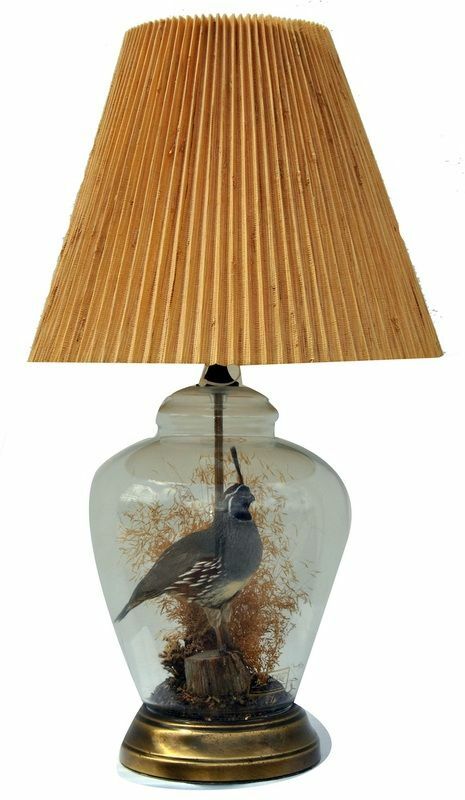 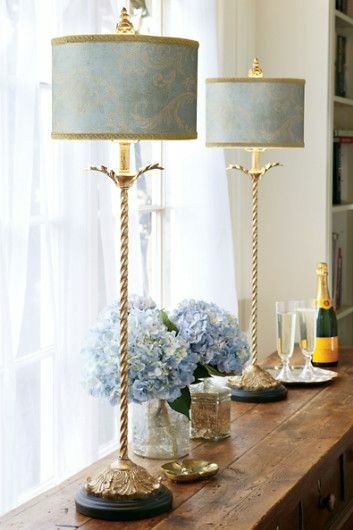 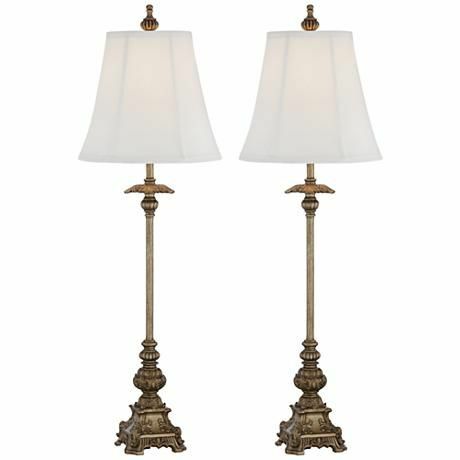 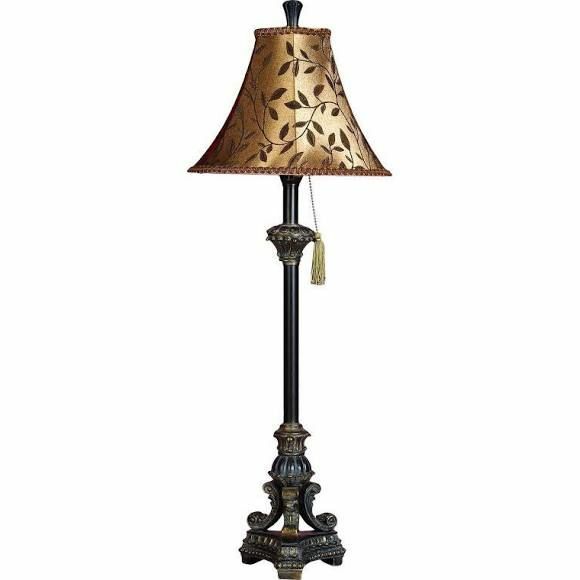 Description & DetailsLight up many spaces, many places in the home with these elegant table lamps. 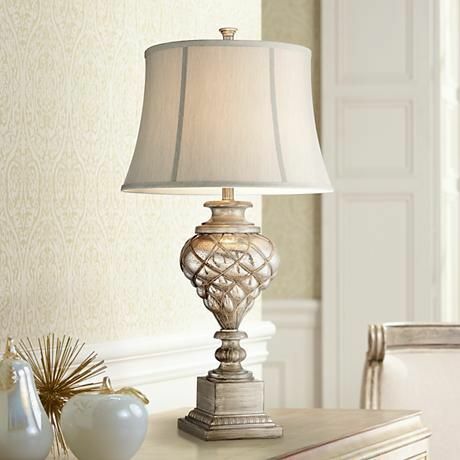 Inspired by an antique candlestick, the cast resin base has a vintage taupe finish with a metallic bronze rub. 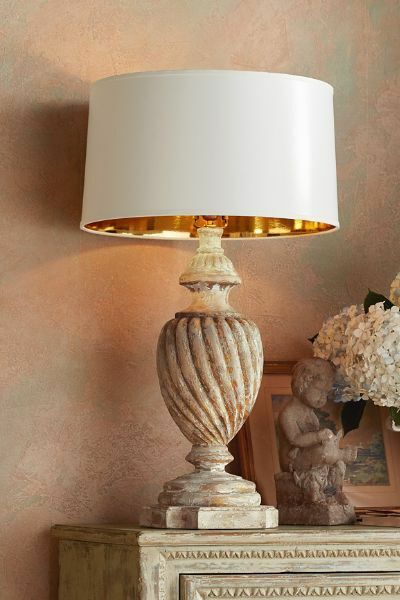 The lovely linen drum shade is embellished with a frayed floral appliqué motif that’s even more beautiful when lit from within.